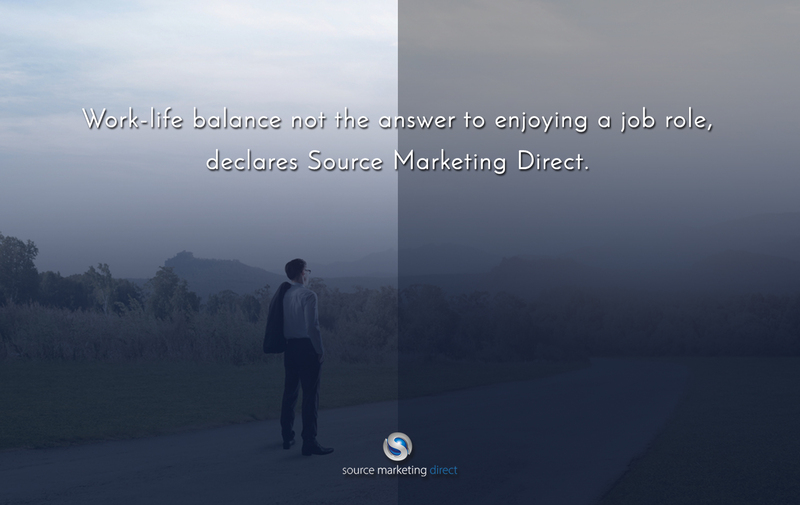 Work-life balance not the answer to enjoying a job role, declares Source Marketing Direct. Outsourced sales and marketing experts Source Marketing Direct believes that the pursuit of an ideal ‘work-life’ balance is missing the mark, and argues that the workplace should be an entertaining and rewarding environment in itself. While many individuals chase a balance between their work and personal sphere of life, the hierarchy at London-based Source Marketing Direct believe thriving in both of these world’s is only achievable if said individual is passionate about their role. In essence, the firm is arguing that the two are not opposites, but rather connected as a whole. Hector Montalvo, the firm’s Managing Director, raised this point during a video interview – soon to be aired across the company’s social media channels – where he states that there’s little point in working if one is not having fun in what they’re doing. Besides, having a true passion for work makes it feel like you’re not ‘working’, and if Friday is the best day of the week for an individual then it could be argued they might be best suited to another vocation. “A lot of people talk about having a balance between the spheres of work and life. I don’t necessarily believe in that – I look at both as ‘life’. I don’t see it as balancing work – it’s my life, you know? It is what it is,” states Hector Montalvo, Managing Director of Source Marketing Direct. While questioning this balancing act, Montalvo admits that many entrepreneurs fall victim to burnout, and lose sight of their passion projects. However, rather than pointing the finger in the direction of a work-life balance, Montalvo believes a failure to learn from the past and embrace change is to blame for such entrepreneurial afflictions. That being said, the business owner has given many speeches on the topic of ‘mindset’ and considers a correct mentality to be what makes people succeed in all aspects of life. In fact, Montalvo has previously gone on record encouraging his contractors to establish a weekly routine for exercise and well-being to ensure they remain in the right state of mind to enjoy their work and overcome any obstacles that may arise. “I think that if we’re not having fun with what we’re doing it stunts growth and creates friction in the workplace. At the end of the day – what’s the point in work if you’re not having fun?”, concluded Montalvo.